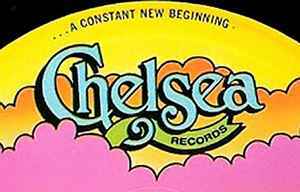 US record label created by Wes Farrell and active from 1972 to 1977. Pressed and distributed by RCA from 1972 through late 1974 (pink and orange label) and then independently from 1975 through the label's dissolution in 1977 (blue and green label). The Chelsea masters are currently owned by Farrell's Wes-Sky Industries, Inc.